And not just any labs. The big boys at luxury behemoth LVMH, Thierry Wasser, the in-house perfumer of Guerlain, and François Demachy, who oversees perfumes at Dior, were quoted in the January 13 edition of Le Monde, France’s newspaper of reference, in an article by Nicole Vulser entitled: "Les créateurs de parfums ont la Commission européenne dans le nez" ("Perfume composers have the European Commission up their nose", a wordplay on a French expression: to have someone "dans le nez" is to be annoyed with them -- thank you to Alyssa -- and Bela -- for reminding me of the English expression). Both perfumers complain about the necessity of reformulating the historical fragrances of the house. “Some perfumes were developed because there were no penalizing constraints”, explains Dior’s François Demachy. “Among the perfumes we sell, the oldest is over 150 years old. If some day Brussels doesn’t want essence of rose any longer, how am I to do? There is rose in almost all our perfumes… It is a heritage we need to defend”, says Guerlain’s Thierry Wasser. “Our palette is diminishing. This is a bit as though you told a painter he’s not allowed to use red, then blue or yellow”, states Frédéric Appaire, international marketing manager of Paco Rabanne. Is this the beginning of long-delayed measures to oppose the (self-imposed) overregulation of the perfume industry? Or at least to limit the damage? Of course, anyone with a nose knows the damage has already been done to each and every classic perfume, and that there probably isn’t a single fragrance that’s safe from vandalism, since regulations change every year. Something that came out this fall could be different when the next batch is produced. But if the people quoted in Le Monde’s article are speaking up, however tentatively, there’s a good chance that they’ve received clearance to do so. My sources indicate that the status of the classic Guerlains as an official part of the French heritage – which could mean restoring the formulas – is under discussion. And in a very vague, unsubstantiated, “I know someone who knows someone” way, I’ve heard rumors that perhaps Mr. Bernard Arnault was getting just a little annoyed at a law project affecting both the perfume and the champagne industry, and authorizing a task-force to be assembled. IFRA has backed down once now, on vanillin. Pressure can be brought to bear on European lawmakers and the scientists who advise them, who for the most part are utterly uninformed about the process of perfume composition (this ignorance boils down to: “Well, if one ingredient is a problem, just stick something different in the juice”). A case can be made that the classics are part of the French national heritage, and should be protected as such, though it’s such a complex matter that no one has succeeded yet – though it’s been attempted several times, apparently. Whatever happens, it’s about time it started to happen. yes it is about time...thank GOD someone has stepped up to defend our fumes and the history they represent !! Carol, it's a baby step... Let's see where it takes us. It's about time perfume industry giants began to feel the "invisible hand." Quality tells, even to the unsophisticated wearer. It's no coincidence niche producers are on the rise as mainstream quality dips. Yes, even mainstream consumers select expensive scents based on subtle nuances that have now disappeared. People won't pay premium prices for fragrances that lack that certain something. I got Coco for X-mas this year & it seems to be missing something. I won't buy again unless they return the quality. HOO-RAY!!! Let's hope more folks start yelling. It's also about time that they started trying to get this out to the non-perfumista public and get them to put a dog in the fight, because without those kinds of numbers we're not going to have enough drag to effect change. Excellent news. Anonymous, Coco certainly fell victim to IFRA (namely because of the content in eugenol). Chanel are quite fanatic about the quality of their perfumes but they're complying, and that means tweaking. If consumers started writing systematically to perfume companies every time they experience that type of disappointment, it could make a difference. Amy, this was more like a polite throat-clearing, but in this industry, that sounds like a howl. For the rest, see the above comment. We're not a bunch of freaks. We're people who care about an art form. Olfacta, indeed we aren't, and we do. Perfumers do too. I hope more of them will say so, and that the brass will listen. I had a talk with my businessman father about IFRA recently, and he said their strategy sounded all too familiar to him -- regulate yourself before the government does and, oh! hey! we can take care of this little problem over here at the same time! "This little problem" being (just my guess, I have no hard facts on this) in IFRA's case, the expense, instability and un-patentability of many natural ingredients. "So," I said, "does that work?" "Never," he said. "It just encourages the government to come up with deeper restrictions. But people want to feel like they're in control of their own industry." I can only hope. (Biting my tongue about what it's too late for, blah, blah, blah...) Thanks so much for the translation and the good news, as always! P.S. I've heard folks say, "He really gets up my nose," in English, though it isn't a very common usage. Alyssa, this is IFRA's stance exactly: "we're regulating so that governments don't regulate us, based on more up-to-date research". There is no way for me to know about internal dissensions. 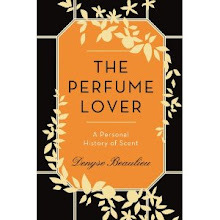 All I've heard is that about ten to fifteen years ago, when regulations started to get tougher, the then-president of the Société Française des Parfumeurs tried to get a task-force of perfumers together to see how they could react, and protect at least the major materials for which there was no acceptable substitute. He got nowhere, he says. Everyone seemed to adopt the ostrich policy: they thought it would just blow over. It didn't. As you say, sales have been plunging (though not in the niche sector) and people must be starting to panic in the upper echelons. And the vanillin affair seems to have been a turning point. And you're right, there is an English expression (which I never use either). Ah, that's very interesting about the task force. What a perfect, terrible storm of industry culture and bad policy-making. Sigh. Thank you so much for giving us this translation, Denyse. I love that analogy of the artist who has his primary colours taken away. So true. And the loss of Parure, and of the genius of all the other classics. Heart-break is right. I find it all quite fascinating. What will happen next? Will beauty, tradition and artistic integrity triumph over destructive restrictionism? For some reason, I think it will. I certainly hope so. It is so encouraging to finally hear perfumers voice their dissent. They may have been addressing their concerns to IFA previously, but this is the first time I've seen anything substantial. It's a very encouraging development. I am grateful for the vintage scents in my collection. I am glad -- quite selfishly! -- I've had a chance to experience compositions that have been chipped away at and compromised by regulations that now seem to be bent on extinguishing them altogether. It's also wonderful to know that so many others feel the same. Robin, I couldn't translate the whole article, obviously: I would've needed Le Monde's and the author's authorization. I used the primary colour analogy in my first post about IFRA regulations, I guess it's logical that it springs to mind. You can't say 'to have someone in the nose' in English. 'Les créateurs de parfums ont la Commission Européenne dans le nez' translates as 'The European Commission gets up perfumers' noses'. Well it's about bloody time. I hope that the enormous weight of B. Arnault/LVMH is able to help halt the juggernaut of IFRA regulations. Tara, I'm not saying I know for a fact Mr. Arnault is involved. I can only suppose he is based on what I've heard. I do know for a fact, though, that a major player is working on the heritage angle. Tara and Denyse -- if Arnault is actually getting involved this time around (and god knows he should, as it's probably becoming cost prohibitive to keep reformulating new formulations), then maybe we actually will see a return to older standards. LVMH has a lot of heft to swing around, and Arnault didn't get to be the richest man in France by rolling over and playing dead. It would be nice for luxury perfumery to actually smell like luxury perfumery again, rather than the barely one step up from Kim Kardashian territory, which is where all this stripping out of available materials has left us. Nathan, when a fragrance is reformulated for whatever reason, it's not the brand that pays for the work to be done, it's the lab that has the formula. This translates into several hours of a perfumer/team on their payroll, say at IFF, Robertet, wherever, dedicated to the reformulation without the lab getting paid extra. The formula itself must come out at the same price for the client. For instance, in the case of Diorissimo, the reformulation was done by Art et Parfums, the company founded by Edmond Roudnitska, since they own the formula. The case of Guerlain is a little different: they own the formulas and have an in-house perfumer. So, no, the reformulations aren't costing the brands. As for the major player, he's not Arnault-level, but he's got a key position. I hope they can do something! Tom, let's cross fingers, but not hold our breaths (we need our noses and voices). An interesting stance, that part of the national heritage. As difficult as it is to declare heritage *sites,* there is even more trouble to identify heritage concepts. BUT...absolutely valid, IMHO (in my humble opinion). And an interesting cultural dialogue. Not to mention I'll be happy with any argument/tack that allows the old formulas a continued life. ScentScelf, it would make perfect sense to consider the classic Guerlains, Carons or Chanels as part of French history and heritage. 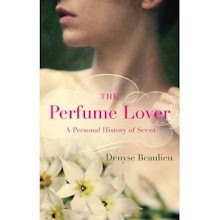 Apparently, there have been several attempts to include perfumery within the purview of the ministry of culture in some form or other, as fashion or even graphic novels were in the 80s. I suppose the issues would be thorny as this might also imply recognizing the perfumer's authorship. But at least the great classics, that would make sense. In France, any restoration of a national monument must be reversible! Linda, I just hope we don't have to become "perfume-people", each carrying the memory of a formula! Sorry for the delay (forgot I'd contributed to these comments). I'm afraid 'Perfume composers have the European Commission up their nose' is still incorrect. The expression is 'to get up someone's nose' and there is no expression with the verb 'to have' (for the owner of the nose). You can't say 'to have someone up your nose'. So it's 'The European Commission gets up perfumers' noses'.